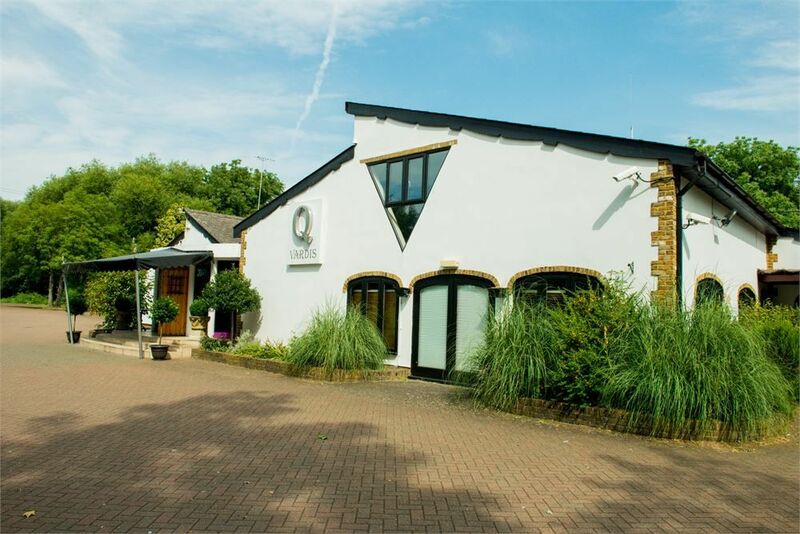 The Qvardis wedding venue in Uxbridge, West London holds a capacity of 480 guests and provides an Exclusive Events Venue that is picture perfect with it's location. Q Vardis is renowned for its beautiful lush green surroundings set beside the river, making you feel like you are a million miles away from the hustle and bustle of everyday life. Our newly refurbished London Events Venue really is something to talk about, from the Excellent Sound System, Large Bars to our fabulous Dining Room and with staff waiting to make your evening one you'll remember. The exclusive wedding venue in Uxbridge, West London is within easy access of the M25 & M40 Motorways and local to Iver, Gerrards Cross and surrounding areas. Located close to the M4/M25 interchange and convenient for West Drayton Railway Station and Heathrow Airport yet bordering on green countryside and the banks of the River Colne and Frays River.